How Far is BM Magnolia Park? 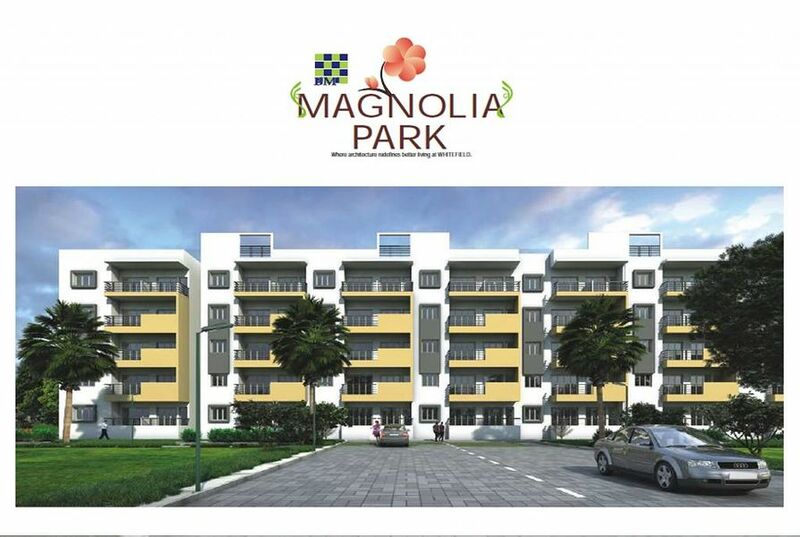 Contemporary design and budget friendly, BM Magnolia is shaped to provide a pleasurable living experience for the occupants. 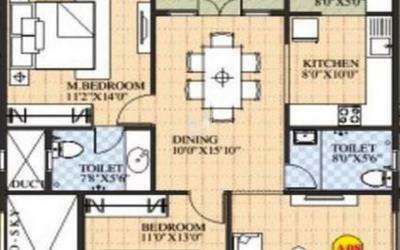 It is an excellent residential project located at channasandra in Bangalore city. With a fine blend of style, space and beauty, this project offers 2Bhk and 3Bhk flats. 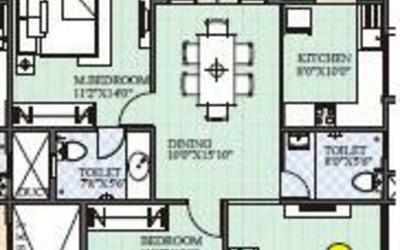 Each flat is spacious and well designed to bring in natural light and maximum ventilation. Surrounded with beautiful lush greenery, it creates a vibrant environment and makes daily life livelier for the people living here. Built according to the Vaastu norms, these homes create positive energy delivering success, happiness and good health for the families. Provided with amenities like, cricket pitch, intercom, senior citizen’s park, 24hrs security, gym, swimming pool, club house, multi-purpose hall, jogging track, badminton court, basketball court and library, BM Magnolia homes offer more than a five star living. Conveniences such as lift, power backup, car parking, 2 wheeler parking, three phase and borewell are also available here for the residents comfort. It is strikingly constructed with attractive interiors that suit any lifestyle. You can see that the internal and external walls are smoothly plastered. The rooms in each flat are finished with vitrified tile flooring and marble flooring. At BM Magnolia, the bedrooms are elegant and more spacious. With choicest fittings and fixtures, the apartments ensure maximum comfort. Channasandra, a locality in Bangalore City is well situated near all the basic facilities needed for a peaceful living. The localities close to this area are Sathya Sai Layout ( 2 KM ), Itpl ( 4 KM ), Krishnarajapura ( 5 KM ), Madura Nagar ( 5 KM) and Varthur. Also, Whitefield Rail Way Station, Devangonthi Rail Way Station are located here with frequent train services. The Bangalore Cy Jn Rail Way Station is considered as the major railway station in this area and it is 24 KM away from Channasandra. Buses can also be used for travelling from one place to another as Channasandra (Whitefield) Bus Station, Nagondanahalli Bus Station, Mvj College Of Engineering Bus Station, Thirumalashettyhalli Bus Station, Vijayanagar (Whitefield) Bus Station are in close proximity. Many reputed educational institutions are also surrounded here. ITPL - 7 mins Sigma Tech Park - 2 mins HUL - 1 mins. Delhi Public school - 10 mins whitefield Global - 5 mins MVJ Eng College - 5 mins Sathya Sai Medical college- 7 mins. Forum Value mall - 1 mins Reliance - 2mins Hyper city - 10 mins D-mart - 10 mins. Columbia - 1 mins Sathya Sai - 5 mins Cloud 9- 5 mins. Easy proximity to all top IT major companies, Malls, Shopping centers, Multiplex etc. Easy proximity to for all your daily needs are within reach. Super Structure: 6” thick solid cement concrete block masonry for external walls and 4” thick solid cement concrete block masonry for internal walls. Sobha blocks or equivalent quality. All internal and external walls with smooth plaster finish. Contemporary design with abundant use of glass affords a pleasurable living experience. Exquisite UPVC windows invite fresh breeze into your living area offering you a perfect balance of light and air. Hall,dining and living areas with putty finish and two coats of premier emulsion paint over a coat of primer. For other areas,two coats of Oil Bound Distemper over a coat of primer of Asian or equivalent make. External walls with two coats of exterior Apex emulsion paint of Asian or equivalent make over a coat of primer. wardrobes,windows leading to balconies and split AC.Also,independent TV. out delicacies. Reticulated ready-to-use gas system and exhaust fan point as perfect accompaniments for modern-day cooking. Dadoing:Glazed ceramic tiles dado upto 2”-0”height above kitchen platform. Doors: Main door in teak frame with moulded Masonite skin flush door shutters of “Standard Doors” or equivalent make and internal doors in non-teak wood frame and flush door shutters of Niki make with six panel doors. Windows: UPVC windows with MS safety grills. Hall, dining and bedrooms with vitrified tiles (24” x 24”) of Somany / Kajaria / Johnson or equivalent make. Marble/granite flooring in corridors and staircases. Anti skid ceramic tiles (12”x 12”) of Asian or equivalent make in toilets. Concealed copper wire of Finecab / Finolex / Havells or equivalent make in PVC conduits of Sudhakar or equivalent make. Modular switches:Legrand or equivalent make. TV and telephone points in living and master bedroom,AC power point in master bedroom and geyser point in master bathroom. 12”x16” glazed ceramic tile dado of Johnson / Kajaria tiles or equivalent make upto 6’-0”height. Plumbing and CP fittings of ESS / Jaguar / Dorset or equivalent make in toilets and kitchen. Cera /Hindware / Euro or equivalent make sanitaryware in all toilets. 6 passenger capacity lifts of Johnson / Atlanta or equivalent standard make. One lift & staircase for every 2 flats on each floor. A few reasons to feel totally secured and stay completely in control:Video door phone system, intercom facility in all apartments, fire detection, protection and fire fighting systems.